At 6'1" and 360 pounds, Byamba Ulambayar is one of the most dominant Sumo wrestlers in the world. 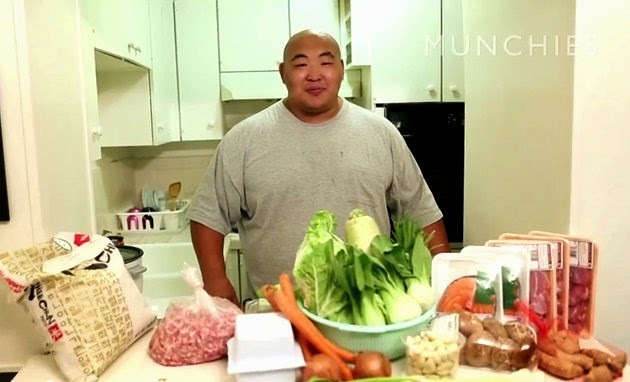 A former professional Sumo, Byamba is an ambassador for the sport and art of Sumo and here is a great video on Byamba's diet. Comprised of a specific stew called chankonabe, wrestlers purposefully pack on the weight in an effort to become heavier and harder to move. Byamba is a world class champ with a great sense of humor. Hope to bring him to Seattle some day for a seminar. Machado Brazilian Jiu Jitsu is truly spanning the world and seeping into other sports and venues. The latest issue of The Hockey News (THE only resource for your ice hockey needs) featured a letter and picture from one of it's loyal readers who made quite possibly the most amazing gi I have ever seen! 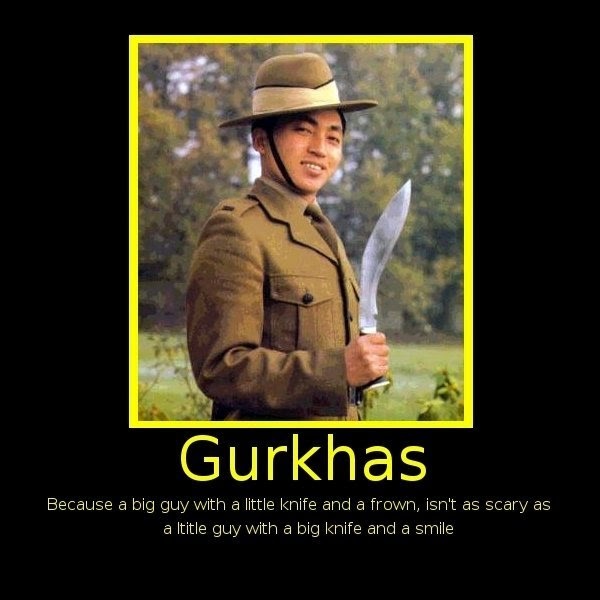 Support your local hockey crew, go roll in a custom made gi! GO HAWKS! "IF PEACE WAS THAT SIMPLE"... 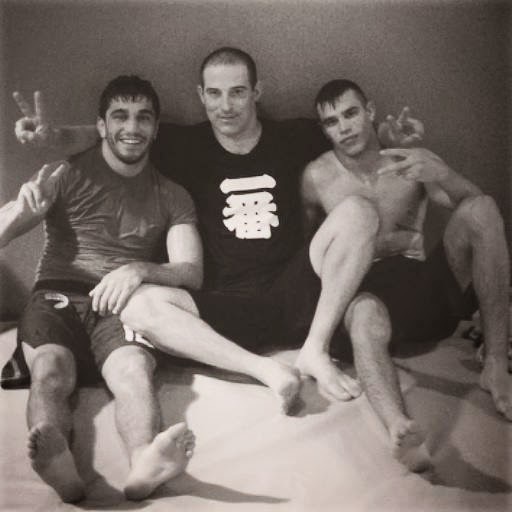 I just received this beautiful picture from my Black Belt student and friend Dr. Peter Goldman (Jewish) after He finished sparring with UFC fighter Ramsey Nijem and his brother, also a pro fighter (both Palestinian)..Peace! Do you like breakfast sausage, eggs and hash browns? I sure as hell do. But after training I don’t always want to cook after training but want something more than just a shake. Ever have that feeling? Of course you have. Yet we need to recover what we lost from that grueling training session. What better way than with an all-in-one breakfast casserole packed with lean turkey meat, sweet potato hash and eggs? You get a fantastic amount of protein with a good ratio of carbs from this simple and easy dish. The best part is that is can be prepare in advance, portioned and refrigerated or frozen. Then a simple reheat after training and you are good to go! We put so much time and effort into training; let that enthusiasm carry over into what you are eating, crush this casserole, not your training partners. 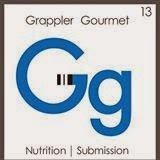 Seemed apropos... thanks BJJ Brick! First thing you need to do is preheat the oven to 375 degrees F.
While the oven is heating, place a large non-stick pan over medium-high heat and add a drizzle of oil. Toss in your onions, sprinkle with a little salt and pepper and sweat them down for 2-3 minutes until they become translucent and aromatic. Once your onions are like you after class, sweated down and smelly, turn the heat up to high and add in ground turkey meat, sage, and season again with a little salt and freshly ground black pepper. Using a wooden spoon break up the turkey meat as best as you can while getting a good sear on it. Cook for about 5 minutes until you have developed nice color on the turkey meat. Don’t worry about cooking it all the way through, it will finish in the oven. I have said it before and will say it again... mixed martial arts (MMA) has single-handily risen Brazilian Jiu Jitsu (BJJ) into the lime light of pop culture, and conversely MMA will also be the downfall of our beautiful art. It has become unnervingly common for MMA fighters to get fast tracked to the level of black belt in BJJ. Now those with a discerning eye will notice that MMA is not in fact BJJ, nor vice versa. Though techniques and movements are borrowed from BJJ for MMA, but the two are completely different at their core. So for Throwback Thursday I say throw back the belt! 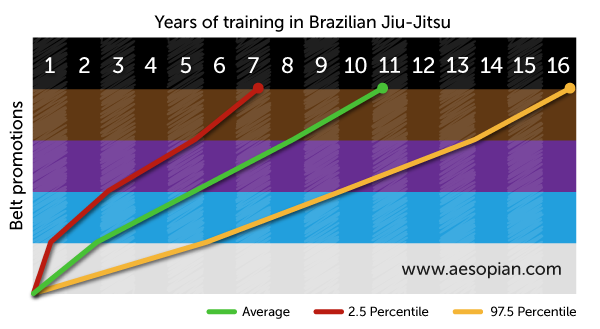 On average it takes someone training 3-5 times a week (consistently) about 10-12 years to attain black belt ranking. See what many do not realize is that in BJJ (with a reputable decent teacher) you have been said belt for at least 6 months by the time you receive it. The belt is indicative of your experience on the mat. EXPERIENCE comes with time. Period. Originally in Judo there was white belt, and then black belt. On a simple level we can dissect the color ranks as being markers of experience, with darker belts indicative of more time on the mat (hence why they were dirty and darker). It is imperative that we raise the standards of BJJ and keep them high. Regardless of your skill or talent wouldn't you prefer to EARN a promotion then just be handed it?? I suppose if that was human nature we would live in a much different world. Though I feel most of these words will fall on def ears if the message gets to one person it is worth it. Keep standards high! A beautiful compilation of the most scored throw in Judo competition; Uchimata. 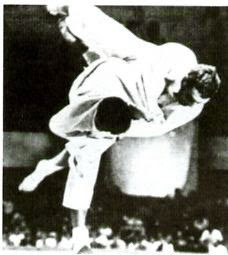 One of Judo's core techniques, Uchimata seems easy to execute but in actuality it is quite hard to set up. Subtleties of balance and weight distribution make this a tough throw to nail, but when you do... fight ender! 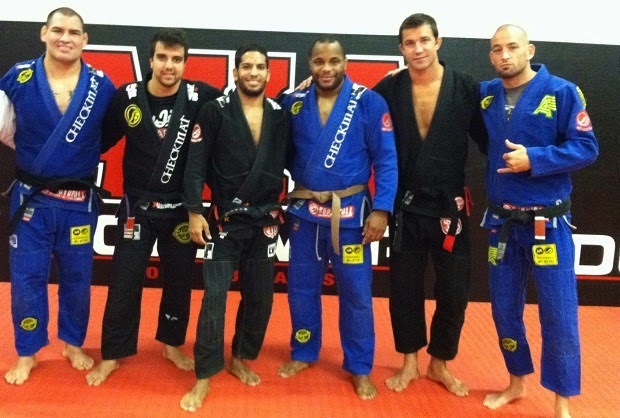 Jean Jacques Machado has two affiliates that are going to be offering Brazilian Jiu Jitsu in Austin Texas very soon. I have no open date yet, but here is Mark Armstrong and Todd White with a video promo which looks nice. Always great to hear about Machado academies thriving and expanding. Lucky Austin-ites! Jared Loper over at the blog Jiu Jitsu Olympics stopped into NW Jiu Jitsu Academy the other night and wrote up a short review of our academy and coach Brian J. Johnson. A blue belt from Idaho, Jared was kind enough to drop in on his visit to Seattle which is always the case with out of town guests as all are welcome to our dojo. "Some great competitors struggle with teaching. Brian is not one of those people. He explains complex techniques very simply, and his students reflect his skills and abilities." Click here to read the entire review. 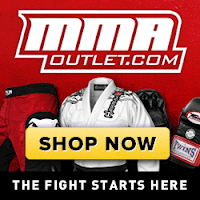 Here is a great clip of Randy Couture fighting early in his career against one of the best ever... Enson Inoue! 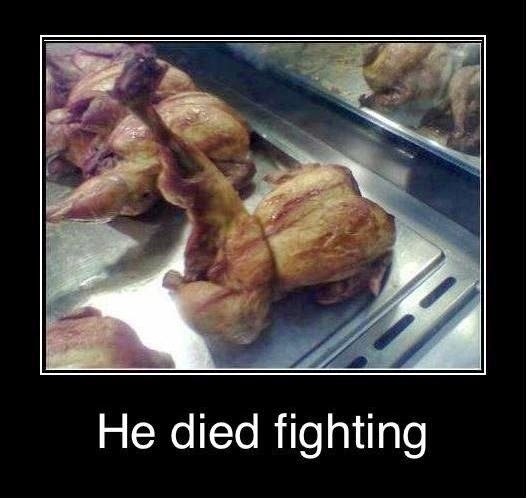 This was early in Coutures MMA history and you will notice the relative lack of exposure to BJJ that he had. Great job muscling Enson down to the ground, but Randy ends up in his guard with an arm trapped. Significant because I do believe this was Randy's first pro loss! I thought this would be a great teaser for Enson's new book I received to review yesterday, "Live as a Man, Die as a Man, Become a Man." 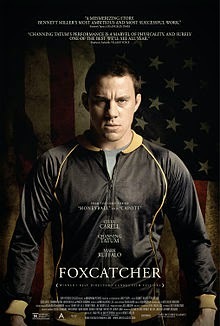 I cannot wait for November in the heart of wrestling season for the release of "Foxcatcher!" The sad, disturbing story of John du Pont's involvement in the training and Olympic fervor of wrestler Mark Schultz in the 80's. Much of the Hollywood scuttlebutt is that this is Carell's best work yet, but regardless of accolades I cannot wait to watch the only wrestling movie since "Vision Quest." Join me in wishing my favorite fighter of all time, Kazushi Sakuraba as he celebrates another pass around the sun today. The Gracie Hunter is without a doubt one of MMA's most exciting fighters and unquestionably (to a fault) had the biggest heart as he would fight to the end with anyone... ANYBODY!! Hope your day is full of joy and spent doing whatever you wish to spend it doing. Light sabres down the BEST sales bonus (really the ONLY) I have ever received from a vendor! Honestly if you don't get it we should really reconsider our relationship! Thanks Dave at MMJ Freeway! New Mexico's very own Holly Holm just announced that she is going to be the newest bantamweight to join the ranks of the UFC in hopes of having the chance to knock champ Rhonda Rousey off her throne. 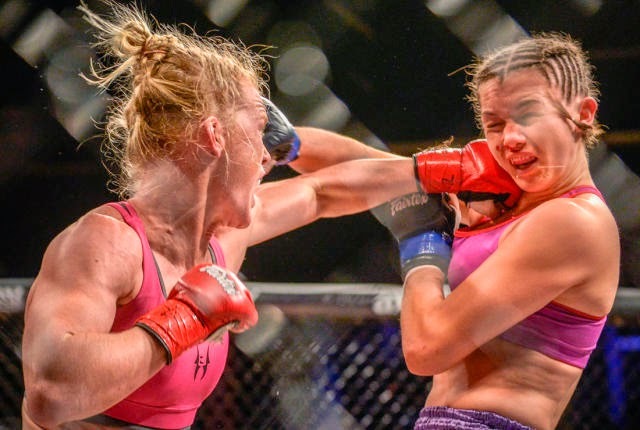 Considered by many to be the best pound for pound female boxer in the world, Holm decided to forgo her success in the boxing ring to tape up the four ounce gloves and try MMA. So far it has been nothing BUT successful posting a unbeaten 7-0 record in pro bouts with six of those via knockout! The protege of Greg Jackson and Mike Winkeljohn hopes to be a major contender in the UFC and take the title from current champ Rousey. We at The Ground Never Misses wanted to wish her luck and cheer on a fellow chile lover! Born on a brisk winters night in Boston, the family of Flow Kimonos holds the simplicity and beauty of Brazilian Jiu Jitsu in such high regard that they strive to interject those same qualities into every kimono they make. From what I can see they have succeeded in spades! For the past couple of months I have been wearing and tearing through Flow's Pro Series (their flagship line) kimono and must admit I am very impressed. 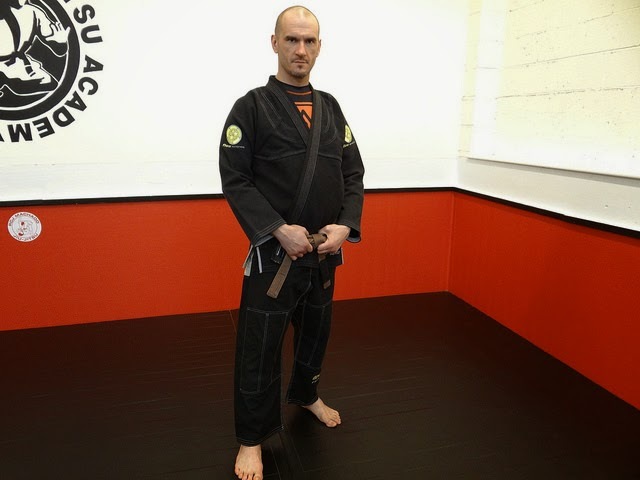 A beautifully simple design gives way to one of the most comfortable commercial gi's available. With only shoulder patches adorning the gi, the design is reminiscent of old school judo (a time before NASCAR like patch work in BJJ), and the durability is certainly on par with old school dependability. 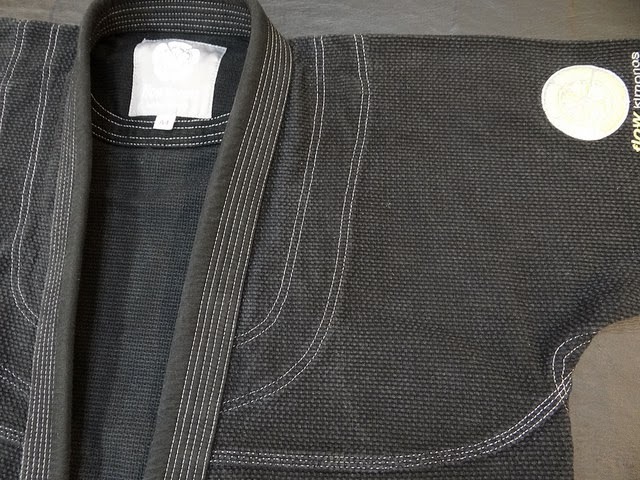 I have yet to see Flow's hemp line but I can only imagine how stinking durable those gi's are if there standard gi is so tough!?!? I have worn this gi more than most as of late and have yet to see any wear and tear, not even minimally. Very impressive durability. The fit is great and nine different sizing options ensures your body type will find the right size. 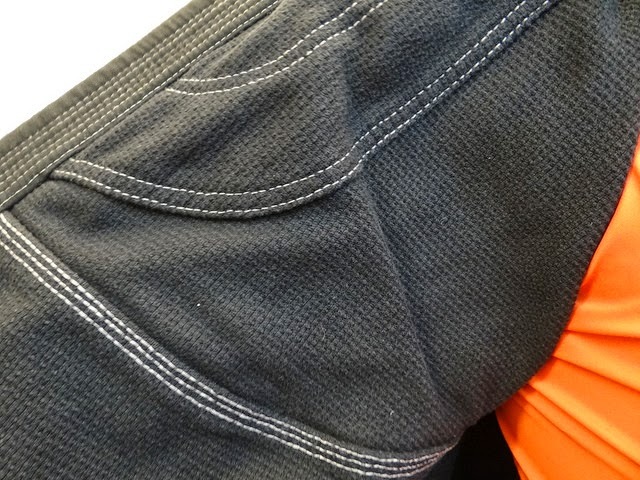 Six loops are found on the ripstop pants along with a draw string. I have experienced minimal bunching and binding, but this is an old school draw string and when really sweaty or wet it does catch a bit. The draw string keeps tied in rolling though unlike a lot of the thicker cords commonly found on gi pants lately. Reinforced knees guard against mat burn as well as wear and tear, and triple stitching has kept all seams tight and tidy. Impressive durability with 8oz pants. 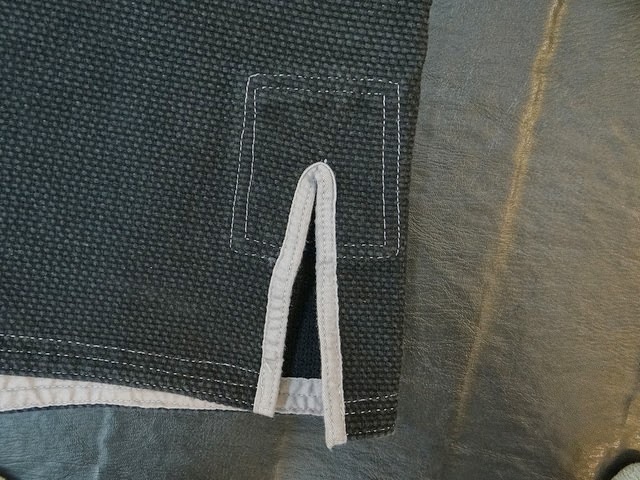 The kimono jacket has triple stitched seams on the sleeve with smooth ribbon aligning the inside of the cuff (a minor thing that actually makes a big difference when your wrist is getting rubbed raw while rolling). 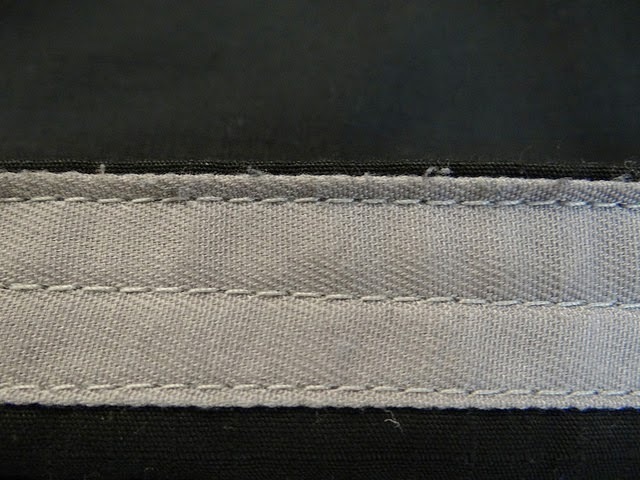 A triple stitched skirt ensures many reps of gi chokes and attacks. Flow kimonos Pro Series takes two pulls to get the skirt out of your belt for attacks and the 100% cotton material breathes well. rs cannot afford the time nor the resources to make more custom fit kimonos, and most choose a generic cut and pattern and go with that (the law of averages). Flow is going to set itself apart by offering nine different sizes... essentially the next best thing to actually custom fitting gi's. 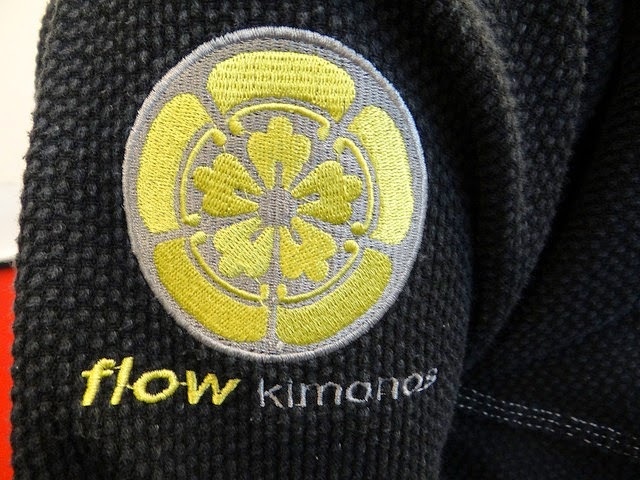 The only plip on the radar screen for me is Flow manufactures its kimonos in China and uses pretreated cotton to guard against odor and bacteria build up. The chemicals used should be questioned in regards to health and longevity not to mention they are made by Dow. Retailing at $139.99 Flow Kimono's Pro Series is one of 2014's best buys for the Brazilian Jiu Jitsu enthusiast. 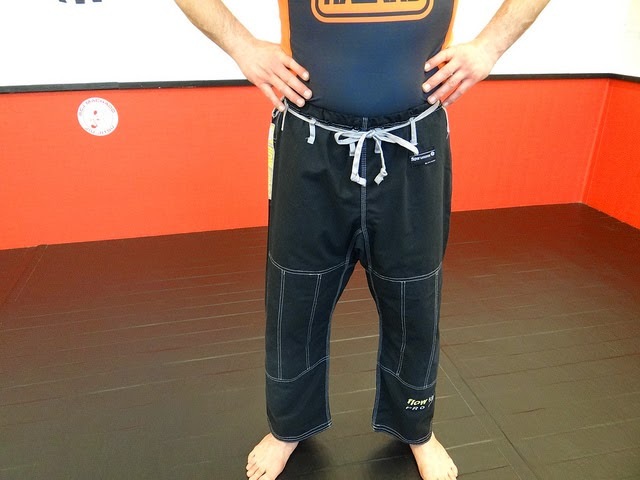 A comfortable fit gi that performs with a functionality bested by no one in the $139.99 price bracket. Click here to order yours today and tell them Jake sent you from The Ground Never Misses. Often times in the sport of Judo a failed throw or sweep ends with your opponent turtled up on the ground with his/her arms and legs in, and paying attention to coach Wu Tang by protecting their necks. In Brazilian Jiu Jitsu we have a number of techniques and strategies where we attack the back, but in Judo the strategy is a bit different. A held and controlled pin for instance means you win (submission not necessary), and this likens to the Samurai roots of Judo where on the battlefield one would throw, pin, and once control is established you would draw your weapon and finish the opponent. A pinned opponent on their back is both exposed and unable to defend against a furnished weapon. So it only makes sense that Judo has developed a number of methods to turn your opponent over to attack and/or pin them, and all too often these subtle attacks are overlooked in Judo and all but unknown in BJJ! Here is a clip of 7 solid competition level turnovers. Wanted to give a shout out to my long time friend and student Bonnie "Bonzai" Jang for performing an all time best on several of the exercises in our personal training session over the weekend. 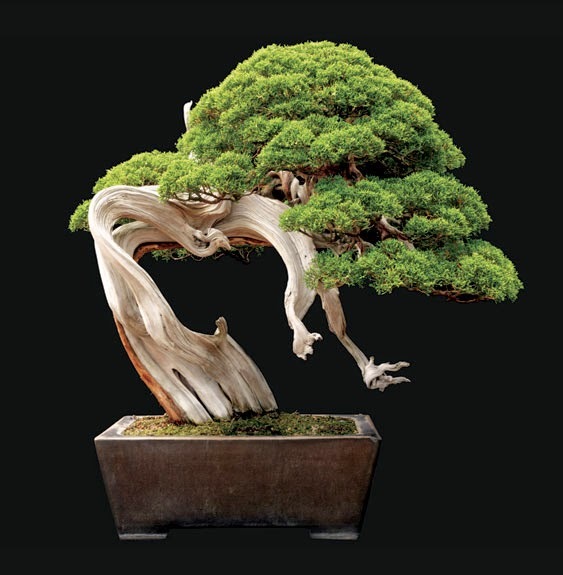 Truly the epitome of hard work, perseverance, and loyalty... we all have something to learn from Bonzai! Throw someone on their back Thursday is taking off with an amazing ippon from a Judoka who understands the lesson of never giving up! I hope you all have a safe and happy Fourth of July. While you are carb loading and drinking your protein, please take a moment and consider those whom are responsible first hand for said freedom... our Veterans. And something to take into consideration about our vets who have been returning from a slew of foreign altercations is the heavy burden of post traumatic stress disorder (PTSD) that many of them carry day in and day out. Fireworks are unfortunately very reminiscent of actual gun fire and explosions, so if you have some veterans in your neighborhood please take a moment and ask them if they mind if you blow up hundreds of your hard earned dollars tomorrow night. 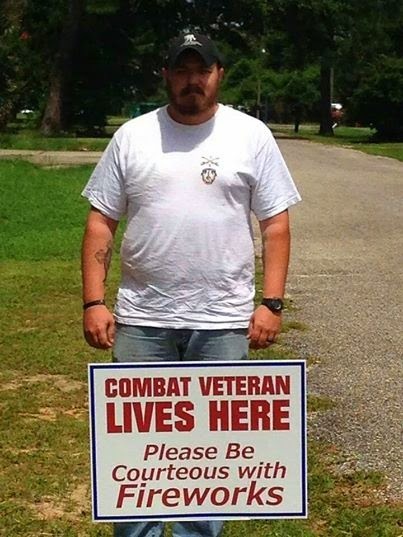 It is the least we can do for their service and time. The author of this video uses the term "tricks" in reference to the 10 tactics Manny "Pacman" Pacquiao employs when fighting. 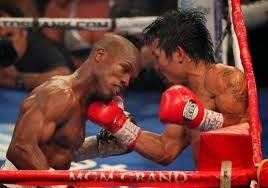 They are not unique to Pacman but he certainly has excelled at making them work and making them work really, really well! 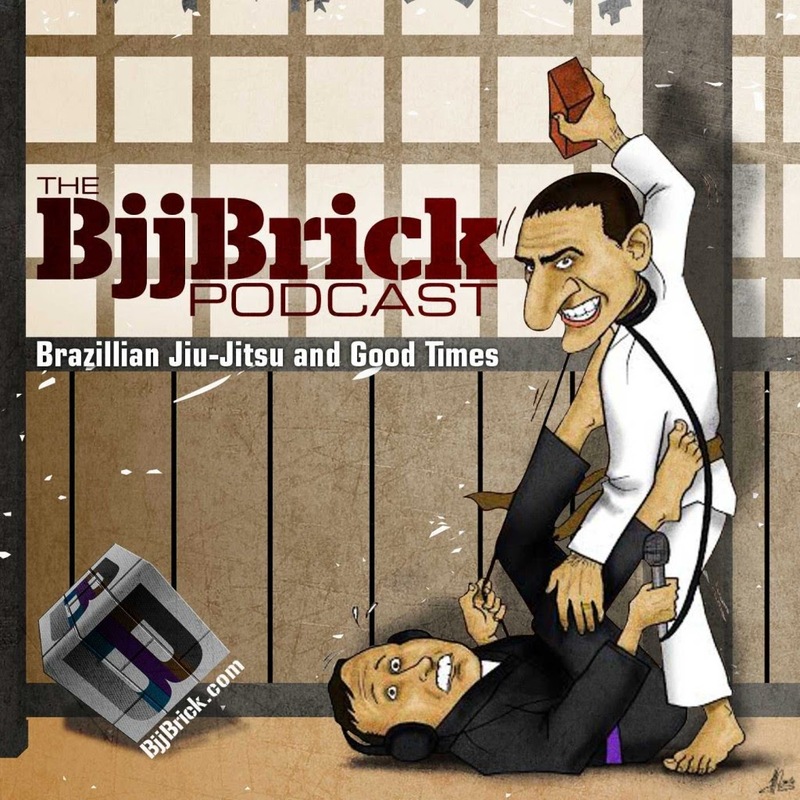 Our mentor and friend Professor Carlos Machado is the featured guest on BJJ Brick, a great new podcast to the grappling community. A wonderful interview with insights from someone who has been on the mat ALL his life. What I love about listening to someone like Carlos is that no matter how many interviews I listen to of his, there is ALWAYS something new he has to offer the conversation regardless of topic. I have never learned so much from a teacher so far away. Check out the interview by clicking here.